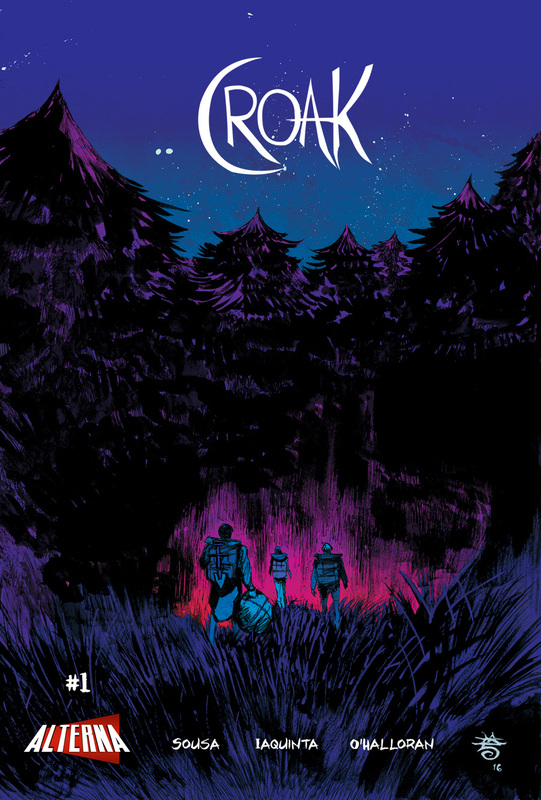 The Fellowship was fortunate enough to obtain a copy of CROAK #1 from Alterna Comics. The story is by Cody Andrew Sousa, with art by Francesco Iaquinta, colors by Chris O'Halloran, and letters/design by Dezi Sienty. What really stood out to me is the striking visual provided by Francesco Iaquinta and Chris O'Halloran. Can’t help but to go back, look at pages over again and admire how unique and beautiful the art is. Writer Cody Andrew Sousa teases what could be potentially very scary and nightmarish ride and I’m ready to go along. This book is really worth checking out if you are ready to be scared. CROAK #1 is available now only at ComiXology.